We regretfully report that Wayne Timpe, founder of LKG Industries Inc. died in January of 2004 from complications following treatments for cancer. A strong community member, Wayne was also known for his ownership of the Rockford Lightning Basketball Team, contributions to Saint Anthony's Hospital, Rockford College and a local youth-activity group. Wayne's ownership of LKG Industries (and former Presidency of GC Electronics Co.) brought him into contact with hundreds of business associates and many counted Wayne as a good friend. He will be missed by those that knew him. His family continues to operate LKG Industries Inc.
LKG Industries announced on January 07, 2006 the appointment of Mr. Kittikarn "Karn" Mejudhon to the position of President of LKG Industries Inc. Mr. Mejudhon has been in the electronics industry for over thirty years and in management positions with LKG for more than fifteen years. Most recently, Mr. Mejudhon has been the company's National Distributor Sales Manager. 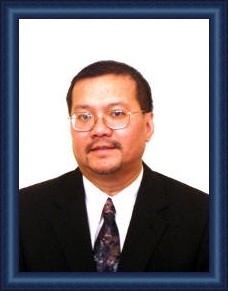 Mr. Mejudhon has been involved in marketing and product management as well as national sales during the past decade. He assumed broader responsibility for LKG marketing and product management in addition to his sales responsibilities. Mr. Mejudhon is a native of Bangkok, Thailand and came to the United States at the age of twenty-one. He is well known and respected throughout the industry. The announcement of Mr. Mejudhon's appointment was made by Judith Timpe, the company's owner. Also Kathy Granath acting president will assume the position of Office Manager and Finance Management responsibilities as well.